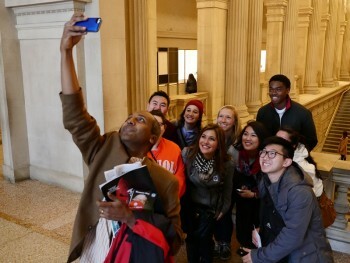 Sree Sreenivasan takes a selfie at the Metropolitan Museum with this year’s Career Exploration students when visiting NYC in November. Chief Digital Officer at the Metropolitan Museum Sree Sreenivasan will be back in Seattle again – this time to talk about getting the best use out of your time online (and on your phone), how to build more fans and followers, and how to do all this in a smart, strategic, and sustainable manner. 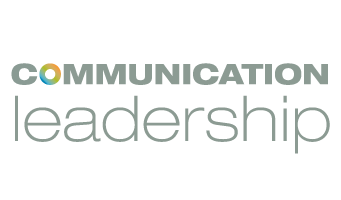 On January 7, the UW Communication Leadership program will host “Sleepless in Sreeattle with Sree Sreenivasan: A Night of Social Media” in partnership with the Seattle Art Museum (SAM) – where the event will take place. Doors open at 6:30 p.m. with a 7 p.m. start time, and a Q&A session from 8 to 8:30 p.m. Tickets are $5 and free for students (use the password COMMLEAD). Last year’s event with Sreenivasan trended on Twitter in Seattle – use #Sreeattle to make it happen again. Sreenivasan was named one of AdAge’s 25 media people to follow on Twitter and one of Poynter’s 35 most influential people in social media. He teaches versions of this workshop at companies, nonprofits, and conventions in more than 20 countries.